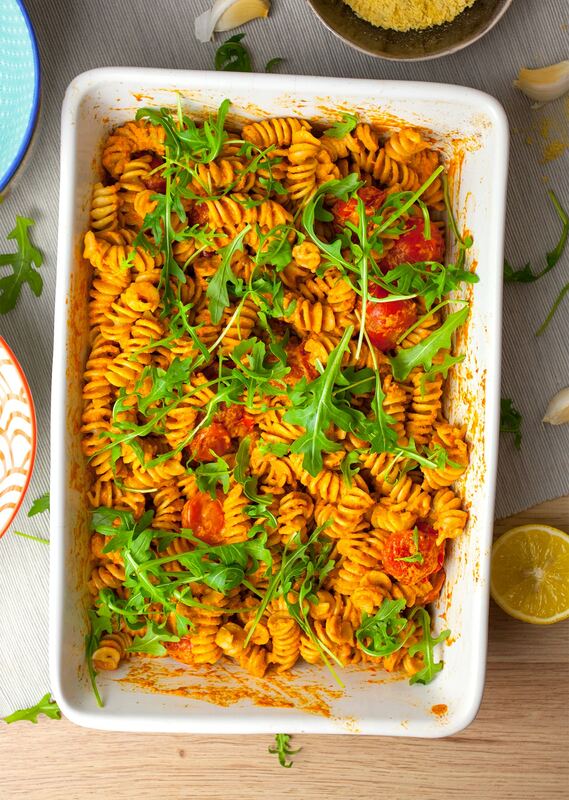 This red pepper pesto pasta really is one of our favourite styles of recipes. It’s really quick, super simple and absolutely delicious. Occasionally we’ll arrive home exhausted after a stressful day at work and the last thing we want to do is spend hours in the kitchen. So we’ll just throw lots of veggies in a pan, pot or a tray, and let them do their thing! This lovely pasta dish only requires a few steps, but it’s bursting with fresh flavour. Place the tomatoes, peppers and garlic cloves in an oven dish. Season with salt and pepper, and drizzle with a little olive oil. Mix with your hands to combine, then place in the oven for 20 minutes. Remove the oven dish from the oven and transfer the peppers and the garlic (remove the skin) to a blender. Leave the tomatoes in the dish. Then add the basil, pine nuts, nutritional yeast, sundried tomatoes and lemon juice to the blender, and blend until smooth to create the pesto. 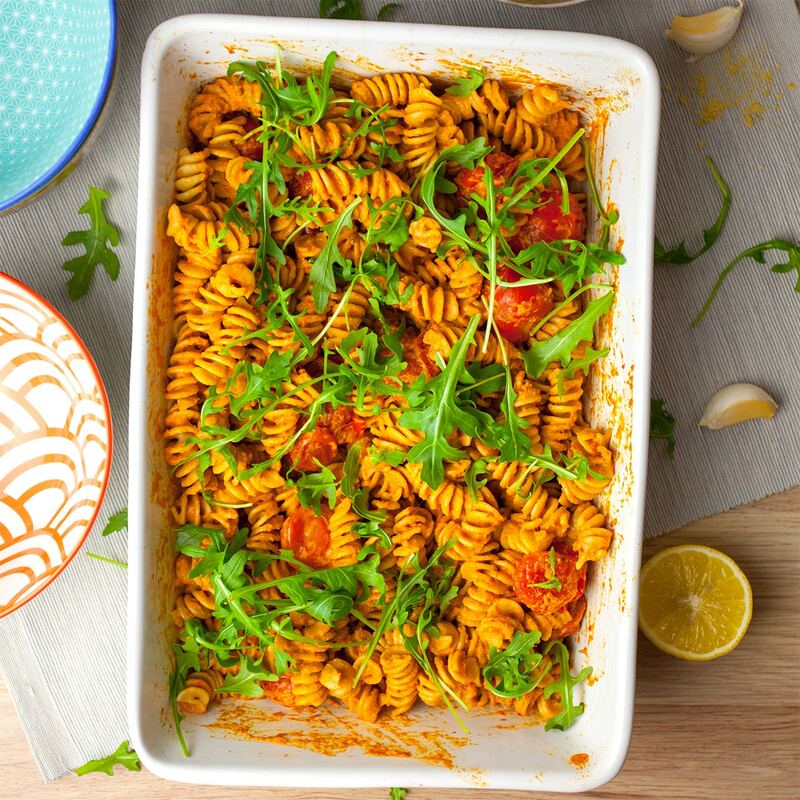 Combine the cooked pasta and red pepper pesto with the roasted tomatoes in the baking dish, or mix everything together in a separate bowl. Stir until the all the pasta is covered with the pesto. Sprinkle with rocket and a drizzle of lemon juice. Thanks Sarah! Glad you both enjoyed the recipe!